Besides crochet and knitting and a bunch of other yarny stuff, I found that I enjoyed making graphics and images. This is the short version of the decision that led into today’s freebie. I still haven’t mentioned what this is? 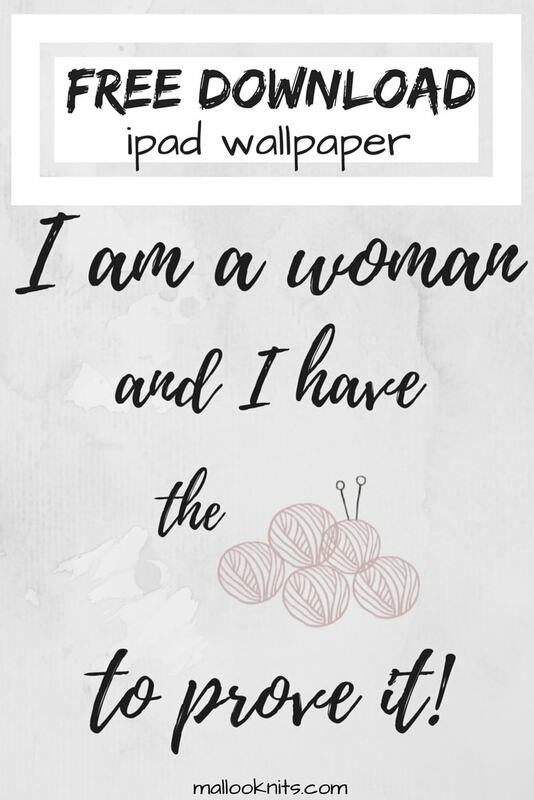 Only the best and most empowering free ipad wallpaper download! When browsing through Pinterest I find all these awesome inspiring quotes and a bunch of funny ones about crocheting and knitting. Actually, I have a whole board dedicated to crochet humor. By the way, if you want to follow me on Pinterest you can click here. Sometimes the quote is so great but the picture, not so much… And that makes me sad. Pinterest is a visual platform and I don’t want to share something that makes my eyes shore. But, that wasn’t exactly the case this time. I found a great quote with a good enough photo but I wanted something more. One more thing you should know about me is that I love double meanings. You know, when someone says one thing but a deeper meaning is implied? Yes, that one! I love them when they are witty with a bit of sass. The original quote said “I crochet (I have the balls to prove it)” which I found hilarious and loved it! Just me? I hope not! And I turned that into “I am a woman and I have the balls to prove it!”. Get the double meaning? Women mostly crochet or knit (but hey, high five if you are a dude and double high five if you are reading my blog), and have the yarn balls to prove it. But also women are strong and powerful and can handle a lot more than life is giving them. But when I was writing these lines I started thinking it might be so cool for guys, too! Usually, men that knit or crochet get teased all the time about their -awesome- hobby. How cheeky would it be to say “I am a man and I have the balls to prove it” with a bunch of yarn balls laying around? How comfortable would this man be with his sexuality? 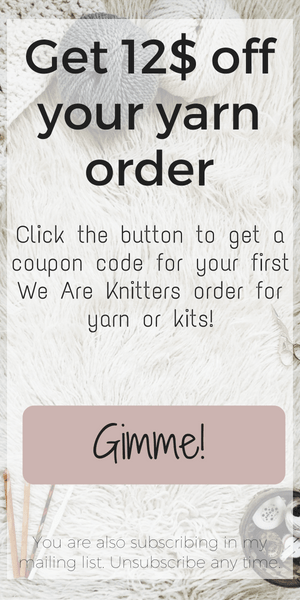 So, if you are a man that knits or crochets and you like that idea, comment below or send me an email. I will totally make one for you! Well, that was it! Did you made it through the end or skipped my ramblings to get to the good stuff? Either way, you can click on the image below and download your ipad wallpaper. Note: The actual wallpaper does NOT contain my logo on it. Did you like it? Want me to make more or just stick to the crochet stuff? Comment away, please! It will help me bring more of what you want.